Since the results of the Human Genome Project were first published in 2001, the pharmaceutical industry has undergone a rapid transformation in terms of both synthetic and biological drugs. Today, biological and biotechnological products provide treatment for some of the most life-threatening diseases that afflict us, from cancer to multiple sclerosis and rheumatoid arthritis. This trend is expected to continue well into the future, and can explain why over 50 percent of the industry’s global market growth at present is focused on four therapeutic areas: diabetes, hepatitis, oncology, and autoimmune diseases. What’s more, as well as the drastic changes taking place within the industry, there are many taking place outside it. With the global economy undergoing a transition of sorts, phenomena such as population ageing are now shaping the solutions the pharmaceutical industry must provide. Consequently, the industry is migrating away from the treatment of acute disease to a focus on chronic disease, and is investing increasingly in new therapies that can cope with future healthcare challenges. Drug development times and costs remain principal challenges in the market, and are pushing the pharmaceutical industry to consolidate, mainly through acquisitions. Accordingly, multinationals are now investing in therapies that have already been developed or are in their final stages, as opposed to investing in companies that offer just a few untested innovations. Moreover, these new therapies have generated significant changes within the regulatory framework, which has further increased the challenge facing companies that are focused on offering quality affordable therapeutic solutions. We at Mega Pharma are an example in this respect. In light of increasingly tough regulatory demands that have been prompted by the innovation race, we have invested heavily in a state-of-the-art R&D centre and a brand new manufacturing plant in order to ensure we continue producing robust, market-leading products and pharmaceutical technologies for the foreseeable future. Similarly, we have incorporated our region’s best bio-similar platform, which is based in Argentina, and have bet strongly on the development of quality and affordable synthetic oncological drugs. Another arm of this strategy is Mega Pharma’s new plant at the Parque de las Ciencias business and technology park in Uruguay – an investment worth over $100m. It includes a cutting-edge global pharmaceutical plant, as well as hi-tech research facilities. Our R&D centre leads, manages and develops between 15 and 25 projects a year, and has an exceptionally high success rate. 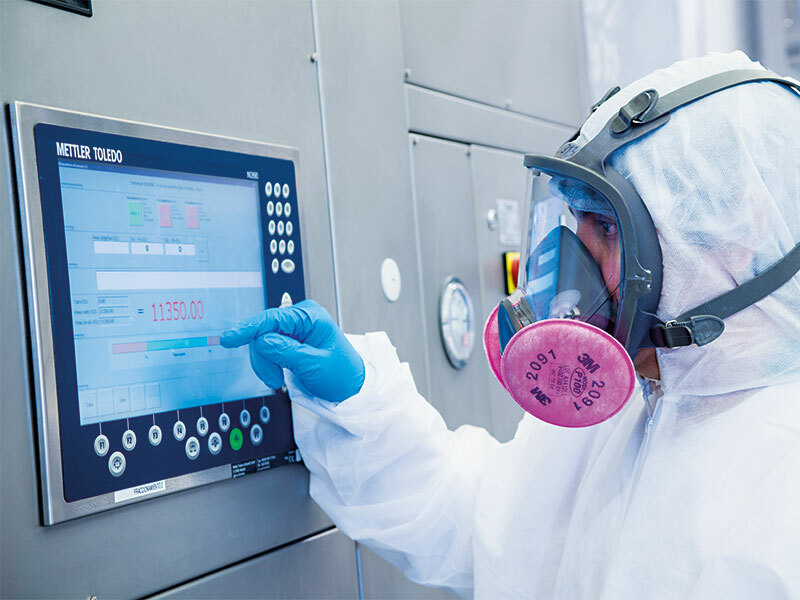 In fact, the plant has incorporated the very latest pharmaceutical technology available worldwide, while we are also investing heavily in process documentation and validation. This will allow us to export not only to Latin American markets, but also to the US and Europe. The new plant is excellently positioned to operate in a rapidly changing regulatory environment, and it also provides an extremely flexible model that can respond quickly to market and consumption changes. All the products developed in our plant are bioequivalent, while all our BE trials are conducted by FDA/EMA approved contract research organisations and comply with international standards. Our plant also complies with Quality by Design standards and procedures throughout all product development. What’s more, it was designed with the future in mind, and can meet Mega Pharma’s expected growth for the next 10 to 15 years. This was an important move, as Latin America’s overall market has recently slowed, mainly due to lower commodity prices and a more competitive and regulated legal framework. For this reason, clearly defining company goals and aligning resources is key in today’s growth strategy. That is also why, in 2015, we devised a very aggressive 2020 plan aimed at doubling our turnover and capturing greater market share in a time when other companies are reducing their expansion plans. Our 2020 plan can be broken down into three main pillars. First, it involves achieving double-digit growth in USD, which can be used as resources for all of our brands. Second, it focuses on accelerating the launch of new products that emerge from our cutting-edge R&D Centre in Uruguay. Finally, it includes an aim to continue seeking new opportunities for products and company acquisitions in strategic markets and sectors where we still hold limited presence. For this purpose, we recently acquired the oldest pharmaceutical company in Brazil, which provides a growth springboard into that market. Very few branded generic companies have regional presence in Latin America, and this remains our main competitive advantage. We target a market comprising 600 million people, which facilitates significant economies of scale and promotes investment in new technology and processes. Our success is built on the knowledge we have gained from the medical experts and physicians with whom we work closely. In turn, they trust us, as do their patients who have learnt to rely on the quality of our products, which are both affordable and effective. Mega Pharma ensures customers have the best experience possible by investing in our processes, infrastructure and people. Companies are not only products plus infrastructure; we believe values and culture are an organisation’s principal assets. Within Mega Pharma are people who work with passion and take pride in their work – they shape our organisational culture. Investing in our people guarantees our clients’ needs are fully met. In order to ensure workforce diversity, we have clearly defined our company’s code of ethics, which bans all discriminatory practices and any form of harassment based on nationality, race, belief, gender, age, disability, or any other factor. Similarly, our recruitment and development processes meet these standards, and promote a healthy and integrated workplace. This culture extends to our team’s expertise as well, as our R&D, marketing and IT departments are multidisciplinary teams that share different projects in different markets. We also promote interchange across different departments and countries, which involves training for our subsidiaries and local benchmarking to ensure best practices are fluently communicated throughout all aspects of the organisation. Our multichannel communication strategy has resulted in a significantly improved experience for all our physicians, clients and patients. Today, we have a significant presence in digital media, which includes sophisticated websites, Facebook pages and a YouTube presence. We also remain present in person, through visits to physicians, the delivery of medical samples, permanent training, medical conferences and other events. We believe we must be available to our clients at all times, since nowadays patients and professional associations have a growing impact on social media and can affect prescriptive trends. That said, our digital presence is limited to those brands where digital promotion has been authorised by regulatory frameworks. Patient communities have evolved and have developed a much greater understanding of the clinical experiences of others. In fact, patients also now have access to technical data that has not always been issued by authorised clinical systems. This raises the importance of the therapeutic solutions we offer, which are appropriately designed for the final user’s understanding and assessment. Through constant research and innovation, while also acting under ethical and accountable standards, we aim to strengthen our market-leading products in Latin America, expanding our presence into new markets. In so doing, we hope to help every single patient and physician with whom we interact.